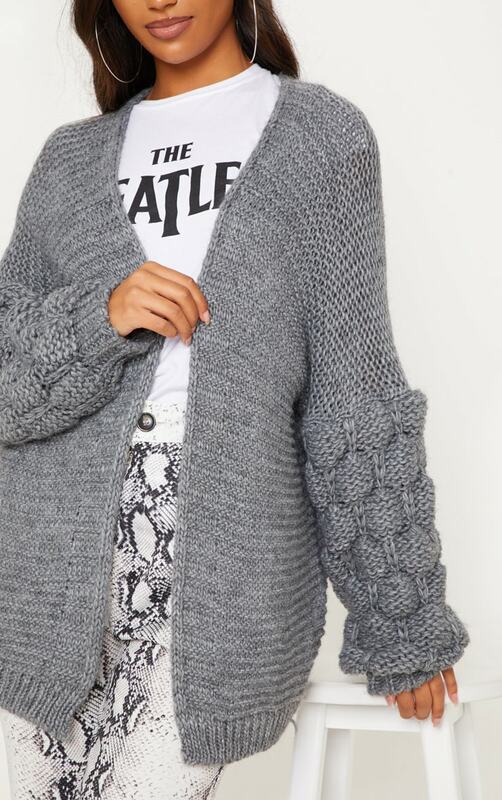 Layer up this season with this totally cosy cardigan. 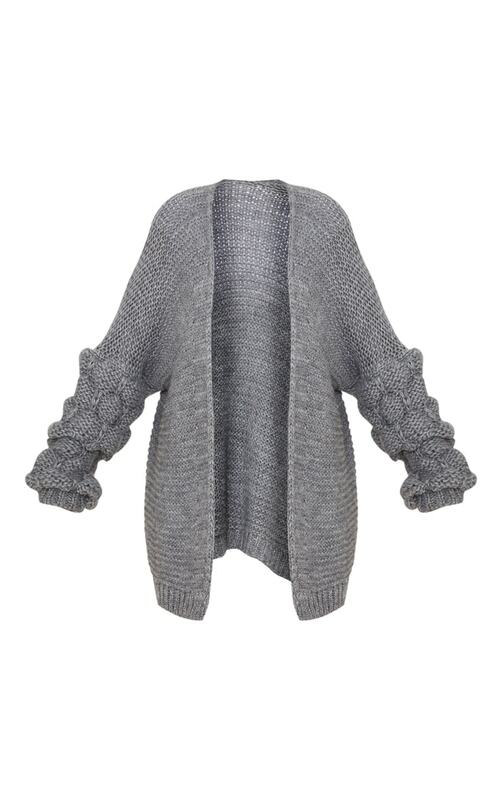 Featuring a grey knit material with bubble detail sleeves and a comfy fit. Team this cardigan with a slogan tee and printed pants for an off-duty look we are loving.